Act fast if you want one! 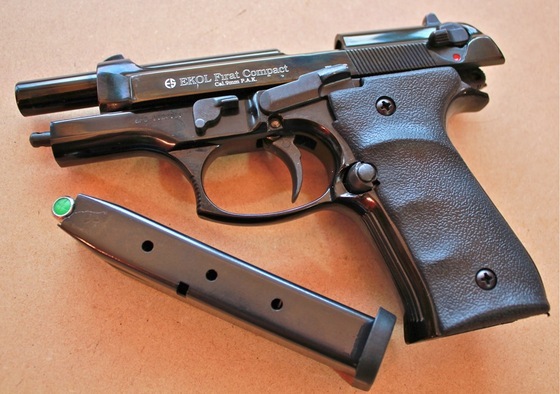 Here is another great Replica Airguns Limited Time Sale for you! 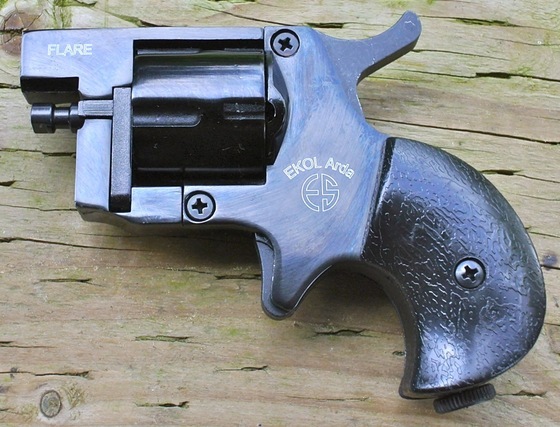 If you want a really really small blank gun that will fit just about anywhere, take a look at the EKOL Arda 8mm blank shooting mini revolver. It has a very unique design, kind of a mix between a Derringer and a Revolver. Get yours today and save $40! Ammunition Type: 8mm P.A.K. blanks. 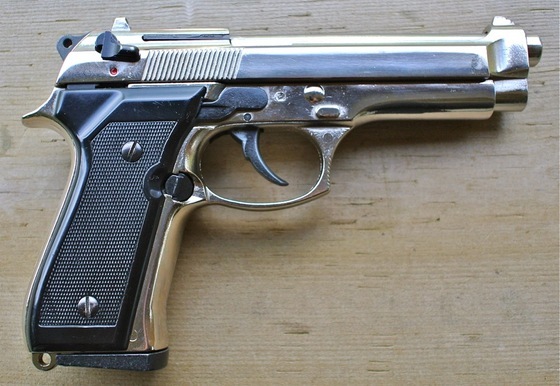 Trigger Pull: As the Arda is single action only, the trigger pull requires pre-cocking of the hammer before each shot, just like the old west six shooters. 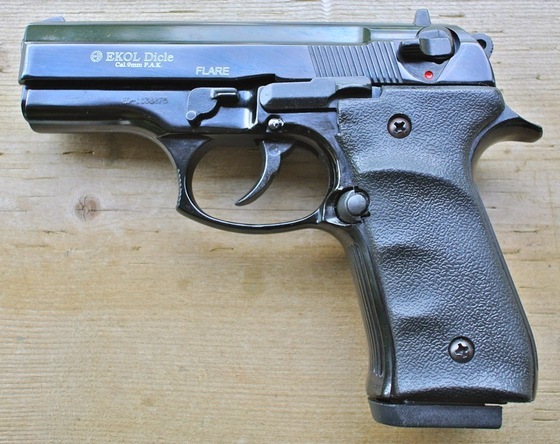 Build Quality: The build quality is similar to that of my Zoraki blank guns. 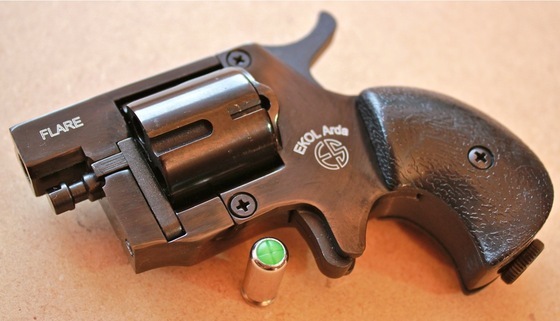 The EKOL Arda pocket revolver is well built and uses good quality materials, this gun is almost all metal. The finish quality is typical of other Turkish guns - good but not perfect, the gloss black finish on the Arda looks really good and seems to have filled in most of the imperfections. You will get some powder burns in areas that the gasses escape such as between the cylinder and the beginning of the barrel. Realism: The EKOL Arda is fairly unique, I don't know of an actual gun that it resembles? It's kind of a cross between a Derringer and a tinny snub nosed revolver. 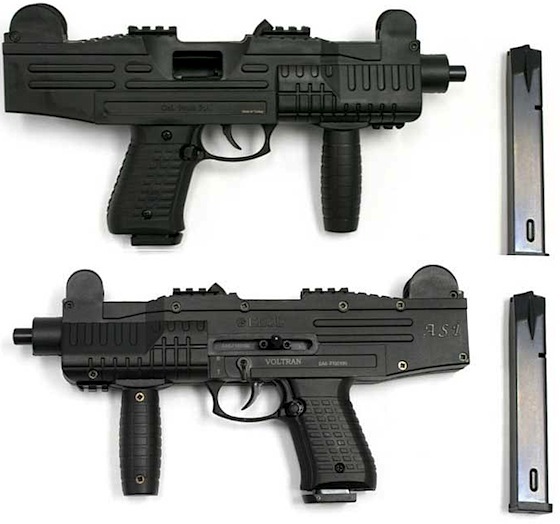 Would make a good training gun animals (retrievers - guard dogs - police dogs) or a compact starter pistol. Revolvers are always dependable, no loading or ejecting problems like you can have with some semi-autos. 8mm P.A.K. Blank ammo is expensive. Single action only with pre-cocking required. The powder from shooting will wear the finish a bit between the barrel and the cylinder. 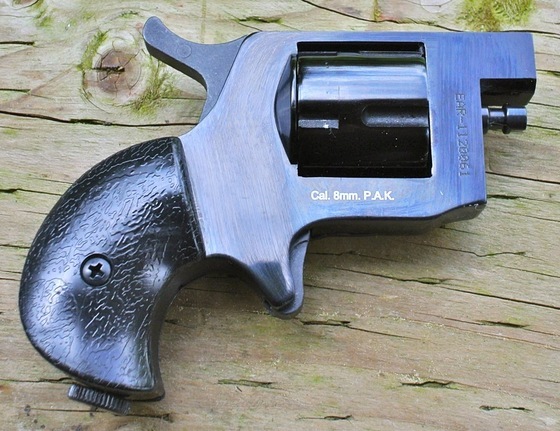 The EKOL Arda blank pocket revolver is a nice addition to our growing number of legal blank guns in Canada. 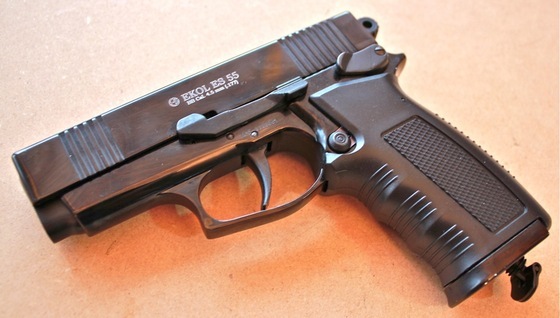 The Arda is a very interesting looking blank pistol and it may not appeal to everyone? I found it so unique looking that I just had to have it as it's just nothing like any other blank gun I own. If you want an ultra compact pistol with revolver reliability then pick yourself up an EKOL Arda and get a small gun with a big bang! I have been wanting to shoot my latest batch of EKOL Blank Guns, and today I was able to do just that! 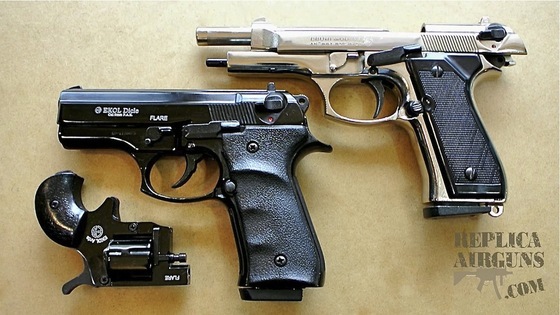 I left out my EKOL Firat because I have already done a shooting review of the EKOL Jackal and these guns are virtually identical with the exception of the Jack Dual being a semi and full auto blank shooter. Here are the guns I got to shoot today: (EKOL Arda, Tuna, Major, Special 99 and ASI UZI), all of which where purchased from the Replica Airguns Store. In this video I use both my Canon T2i DSLR and my Casio EX-FC100 high speed camera so I was able to capture it all in both High Definition and in High Speed slow motion. First off I was very impressed with how all of these EKOL blank guns performed, this was my first time shooting them and they all shot every round without a misfire, jam or loading problem. UPDATE - Feb. 22nd: Added a YouTube video to this post. Back on January 30th I made a post about the Replica Airguns Store getting some new EKOL Blank Guns and Airguns. We'll I just got my review shipment of them in today and had some fun looking them all over. I don't plan on keeping all of them, but I will most certainly keep a few for my personal inventory! 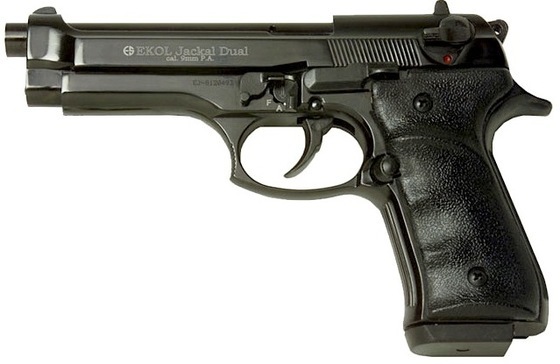 You may remember my reviews on the EKOL Jackal Dual? This is it's little brother in the compact version and with semi auto only. Other than that it's the same exact 15 round 9mm P.A.K. blank gun! 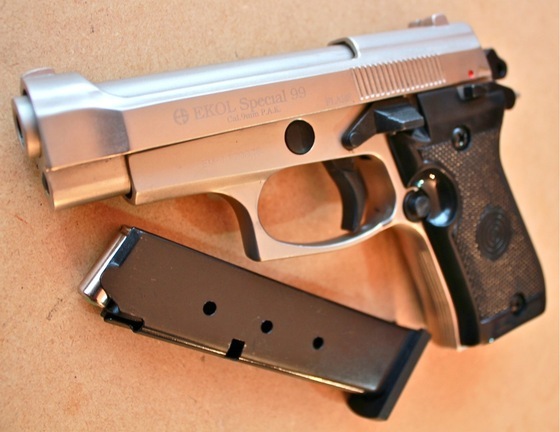 The EKOL Special 99 is a mid-sized Beretta styled blank shooter that comes with a single stack 8 round 9mm P.A.K. magazine. I was instantly impressed with the styling and overall feel of this gun. I'm pretty sure this one is a keeper! 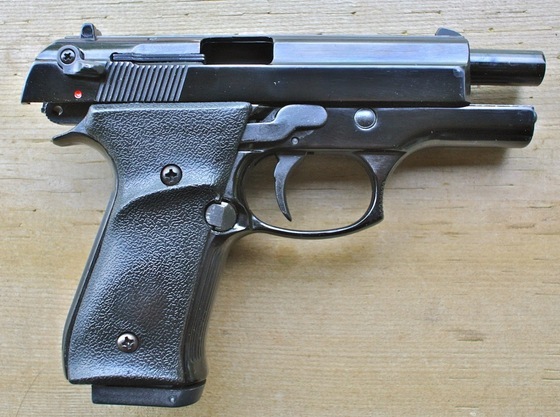 In the mix of Blank shooters came this EKOL ES 55 4.5mm BB gun, I'm going to have to shoot a few rounds through this arigun before I can really comment on it. Still a very nice looking all metal BB shooter with a full size drop out 16 round magazine. Now we are getting into the light weight blank guns, and I thought my EKOL Volga was small! The EKOL Tuna is pretty similar to the EKOL Volga in looks and design but comes in just a bit smaller and hold 6 rounds of 8mm P.A.K. blanks in it's tinny single stack magazine. 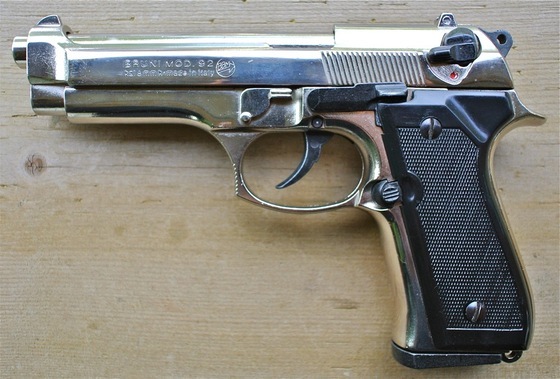 Even though this blank gun is so similar to my EKOL Volga, I may find it just a bit too hard to give up? 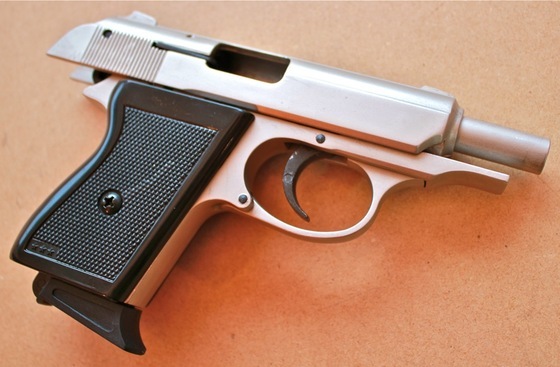 If you're looking for a small blank gun - look no further! The EKOL Arda is crazy small but even so feels solid in the hand, just make sure to hold on tight! The Arda hold 5 rounds of 8mm P.A.K. blank ammo in it's cylinder and uses a pre-cocked single action only hammer, just like back in the wild west. Update: Stock has arrived, we are now shipping these guns! 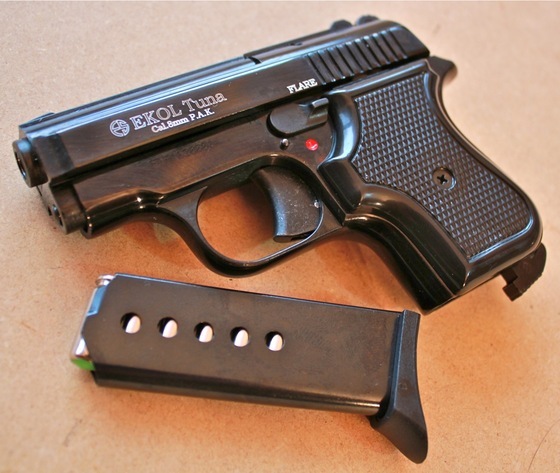 I picked up a few really nice EKOL blank guns a couple of weeks ago to see what they where like. I was not expecting them to be as nice as they where! And I was also impressed with the fact that all three of the guns did not have a single jam, miss-feed or failure to eject the first time shooting them. 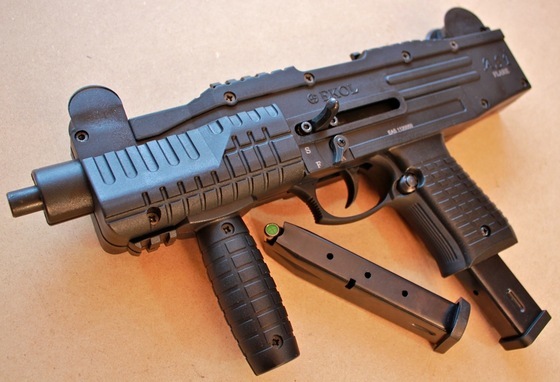 I am happy to say that in a couple of weeks, the US Replica Airguns Store will be carrying at least some of the EKOL product line, and not just EKOL's blank shooters but also one of their BB CO2 air pistols, the ES 55. EKOL ASI 15-25 Shot Semi-Full Auto P.A.K.